My Leadership Evanston program has begun in earnest. We had a 5 1/2-hour workshop last night, and I met the 30 other folks with whom I’ll be spending the next 10 months. 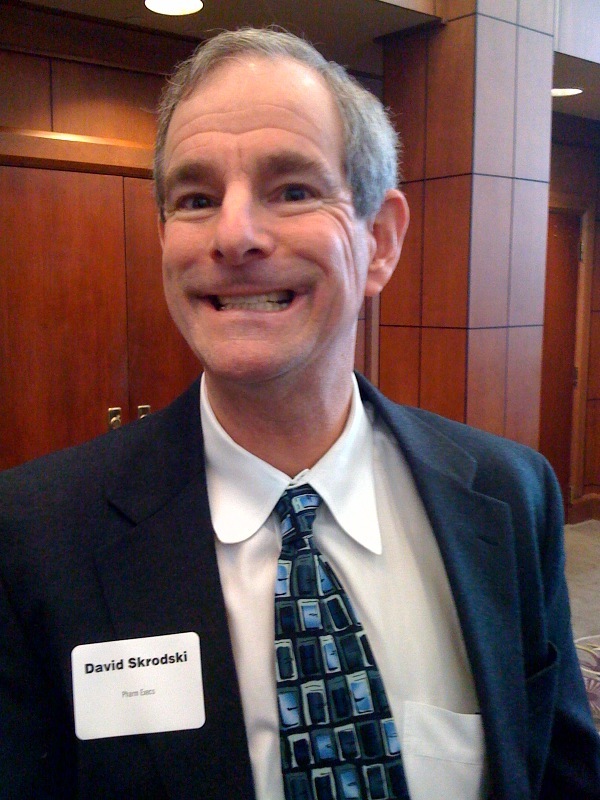 The participants are from all walks of Evanston life–educators, non-profit directors, ministers, etc–and it’s very easy to tell that I will get a lot out of this. As you’ll see below, I even got a new GWT out of last night’s meeting. 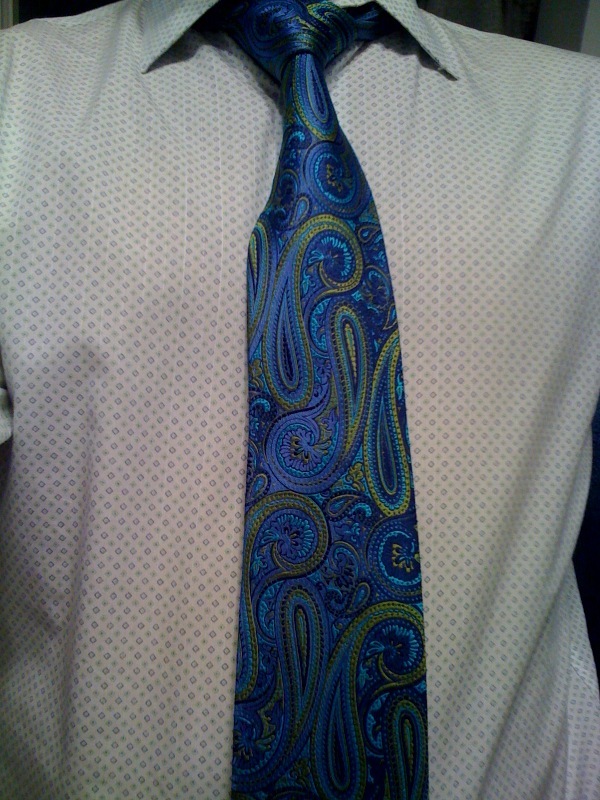 AND, we even went to Pensiero Ristorante for dinner, where I got a GWT alum to show off another tie. 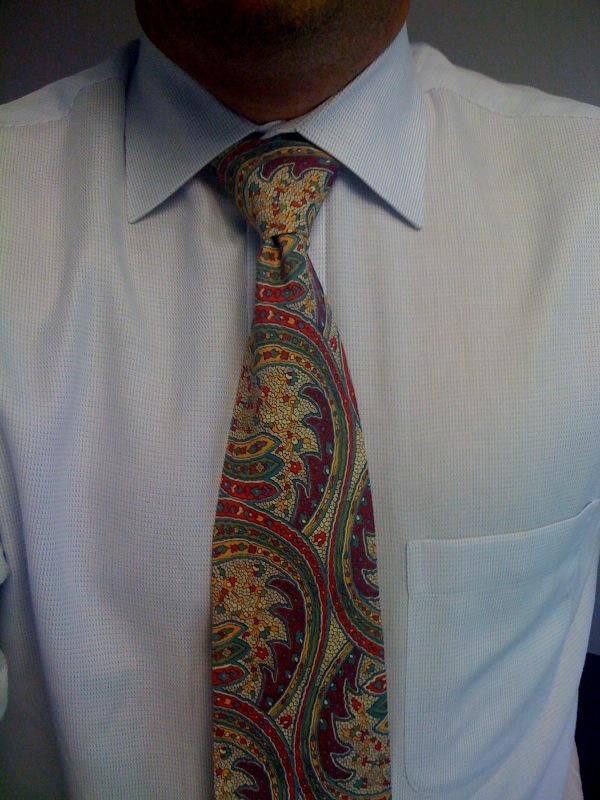 My Tie du Jour (Tie du Yesterjour, to be precise) is another from Liberty of London, but I’m pretty sure it’s my first paisley from them that I’ve sported. I chose this one because there was a pep rally in downtown Evanston, in advance of Northwestern’s game against mighty Central Michigan. It’s Evanston Day at the game tomorrow, and local businesses have used the rallying cry “Paint Evanston Purple” while offering specials to people wearing purple on game day. 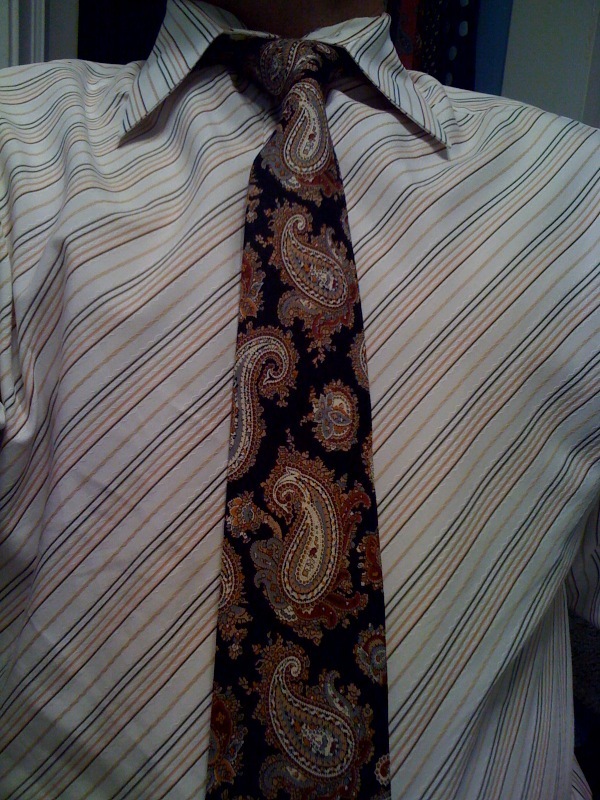 I really like that the colors in this particularly pretty paisley pattern seem to be so far off from each other. I have other paisleys that basically stick to one color scheme, be it blue or green or what-have-you. It took some creativity, and a supremely talented silk-screen artisan, to put this one together. 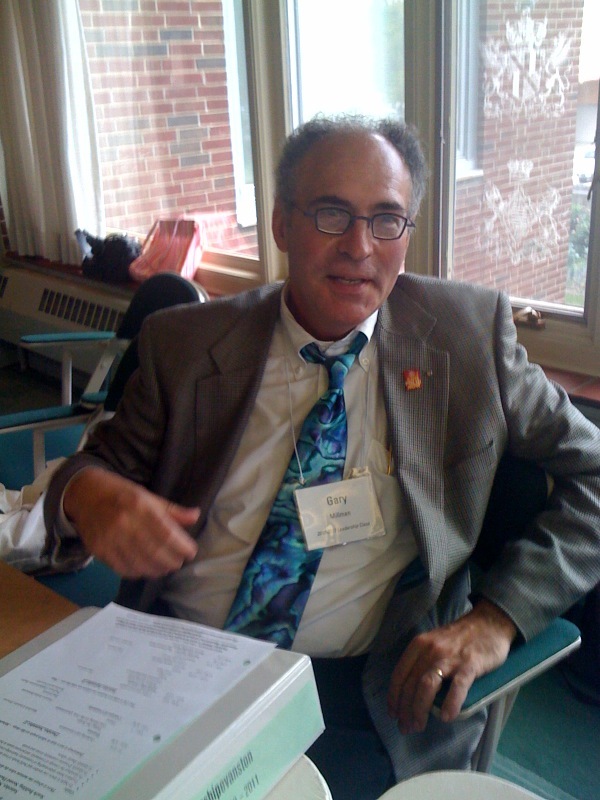 My new member of the Guys With Ties clan is Gary Millman, who works right here in the Rotary Building for Rotary International. Every year, the new Rotary President chooses a tie that becomes a sort of fundraiser for Rotary Clubs worldwide. His Tie du Yesterday, which depicts the inside of an abalone shell, was from a few years back, when the president was from New Zealand. 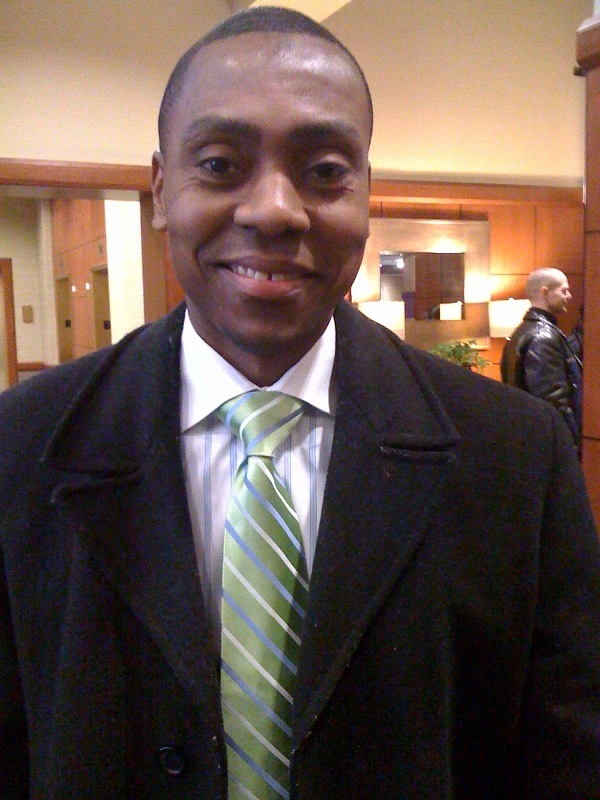 I met Gary yesterday, as he and I will go through the Leadership Evanston program together. I have worked with his wife Lucy on some Northwestern-Evanston initiatives, so it was great to make this connection. 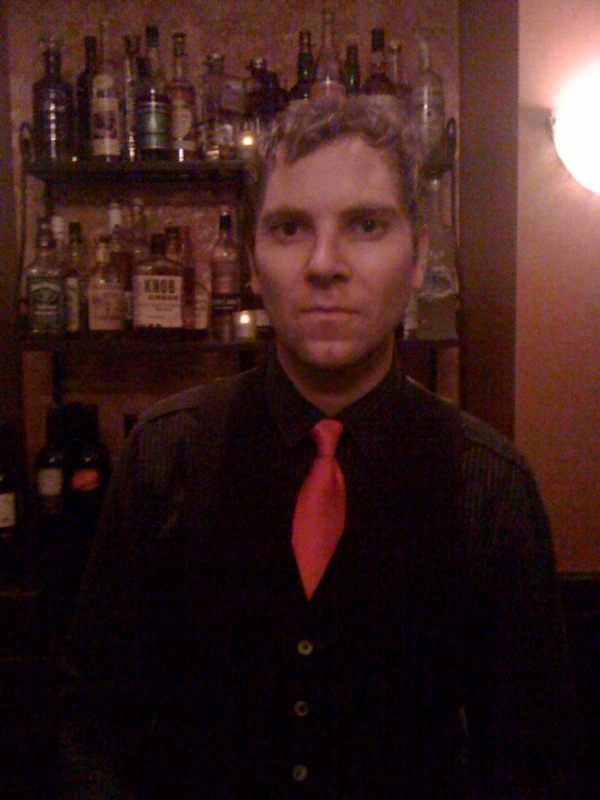 Adam, the mixologist extraordinaire from the new Pensiero, makes it in again, with another very-cool vest-tie combination. I need to get back over there and get me another Sazerac. Delicious. Next week I’ll be sporting my new tie from Lee Allison Company, which I ordered using the special promo code that they gave me on my field trip this week. Remember, you can get 25% off of your total order if you enter 100TIES on the checkout page. 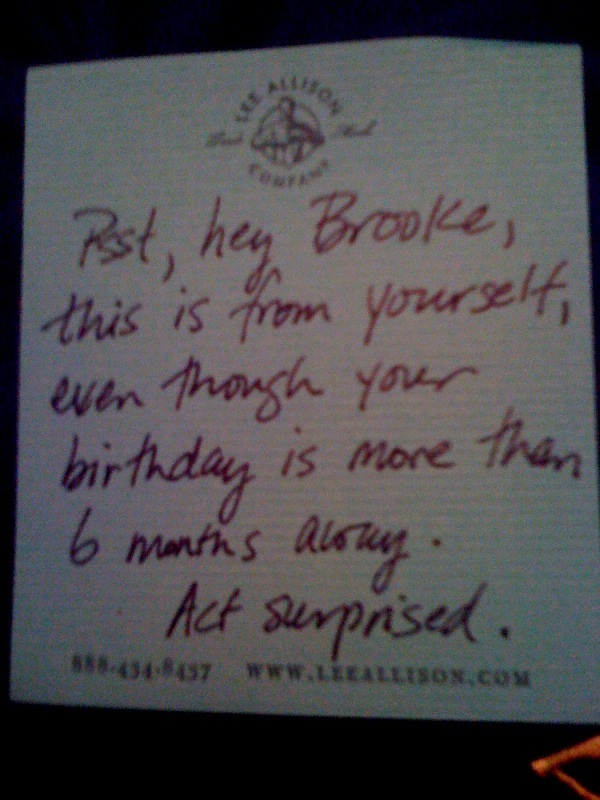 Here’s a picture of the gift card that I sent to myself.